If you like good reliable Japanese cuisine in a business-like setting, Inagiku is the place for you. The waiters are experienced and the food is attractively presented despite the longer wait. Make reservations as guests and business meetings often fill up seats fast. If you need a quiet place for conversation, ask for a table in the back nook to your left when you enter. The noise levels can be high. 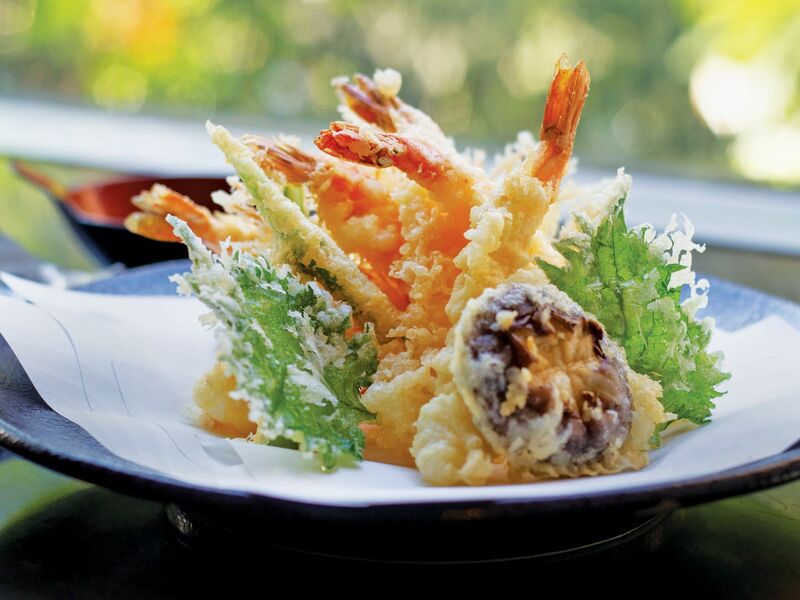 The tempura is justifiably one of the best in town as are the various types of sushi and sashimi. Try the Aburi Nanaten (toro, salmon, engawa, scallop, prawn, unagi, and shime saba) if you're feeling adventurous, or go with the Tokusen (assorted premium) sashimi for a little taste of everything.